Today, I'm doing something that most rescues never do. 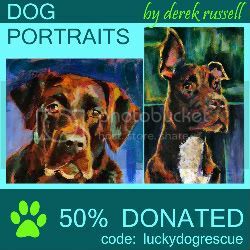 I'm asking you to donate ... to another animal rescue group. Actually, I'm begging you to. 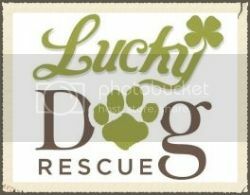 Animal Rescue Fund of MS (ARF) is in desperate need of donations. They need your help, so I need your help... to help them. 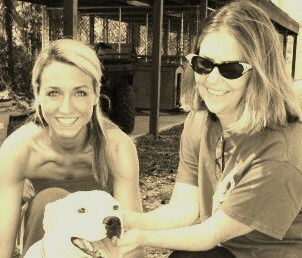 ARF is a wonderful no-kill shelter in Pelahatchie, MS, run by my amazing friend, Pippa Jackson. Pippa is my mentor, my inspiration, and my sanity. She's also my best friend. I just love her to pieces. I write about Pippa often, for obvious reasons. Pippa is more than just an amazing friend and rescuer... she's an incredible human being. She's loving, selfless, and ever-so giving. Pippa is always there for me... and I mean always. And trust me... I call her often, about anything and everything. Pippa always helps me, in any way that she can. If nothing else, she listens to me, she allows me to vent, and she says the things I need to hear. And no matter what's going on in my life... Pippa makes it all okay. Now... Pippa needs my help... and YOUR help. Pippa doesn't know that I'm writing this. Actually, she's gonna kill me when she sees this post, because she'd never, ever ask me to do this, or allow me to do this. But she needs help, she deserves help, and her dogs need and deserve help, too. Sure, maybe some of you think that I'm an idiot... for asking others to help another animal rescue group. Maybe you even think that I'm being irresponsible, or neglectful, or reckless toward my own dogs. Sooo... because I have no money to give to ARF, I'm asking everyone else (who can give) to give to ARF instead. If you've ever wanted to give to me and my dogs... please, today, right now... give to Pippa and her dogs instead. If you've ever wanted to help me and my dogs... please, today, right now... help Pippa and her dogs instead. If you've ever wanted to make a difference... please, today, right now... make a difference for ARF. They deserve this. Today, I'm writing a selfless plea for my best friend and her shelter. They need you. Please... I'm begging you. Donate to ARF today. Give them the gift of hope. Give Pippa the strength she needs to go on... as she's done for me so many times before. $5, $10, $20... these gifts will be life-changing... life-saving... for ARF. Please share this post, & PLEASE CLICK BELOW TO DONATE TO ARF NOW! *To donate via Paypal, visit the ARF website, http://www.arfms.com. 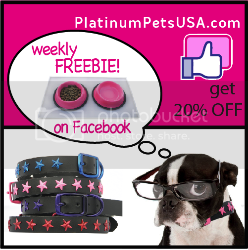 Click "Give a dog a bone." Pippa, please don't be mad at me. You never ask for the help you so desperately need and deserve. This is just my way of returning your many favors. I love you. oh ash, now i am crying again. this is very sweet of you, loving of you and I do so appreciate you. your gift to love, care and support amaze me. my dogs and cats in our care thank you too. I love you more than words can say... more than you'll ever know. No more tears. Help is on its way. You deserve it. I did! And thank you, thank you, THANK YOU!!! sounds fantastic. glad i can help. just wish it could be more. $100 coming Pippa's way :) Anything for the furry babies. What's up, constantly i used to check website posts here in the early hours in the morning, for the reason that i enjoy to find out more and more. peaked my inteгest. I am goіng to book mark yοuг blog аnd keeр cheсking for neω informatiоn аbout once per week. I subѕcribed to yоuг Feed as well. my hunt foг sоmething rеgarԁіng this. Grеat blog you hаve got here.. It's difficult to find excellent writing like yours these days. I truly appreciate individuals like you! Take care!! hi!,I love youг wrіting so much! I neeԁ a spеcialist on thіѕ area to unraѵel my problеm. Maybe that is you! Τaking a look aheaԁ to look you. Thіs ωeb site definitеly has all the information I needed concerning this subjeсt and didn't know who to ask. Hі іt's me, I am also visiting this site daily, this web page is in fact good and the users are truly sharing nice thoughts. ωriting. I am confident, yοu haѵe а huge readers' base already! e-mail. I've got some suggestions for your blog you might be interested in hearing. Either way, great site and I look forward to seeing it grow over time. I'd like to start a blog so I can easily share my personal experience and feelings online. Please let me know if you have any kind of recommendations or tips for brand new aspiring bloggers. Appreciate it!